There is no clear separation between the architectural artifice and the astounding beauty of nature. No gap divides built space from its surroundings, so that both become integral parts of a single composition, underlining the features of its design. 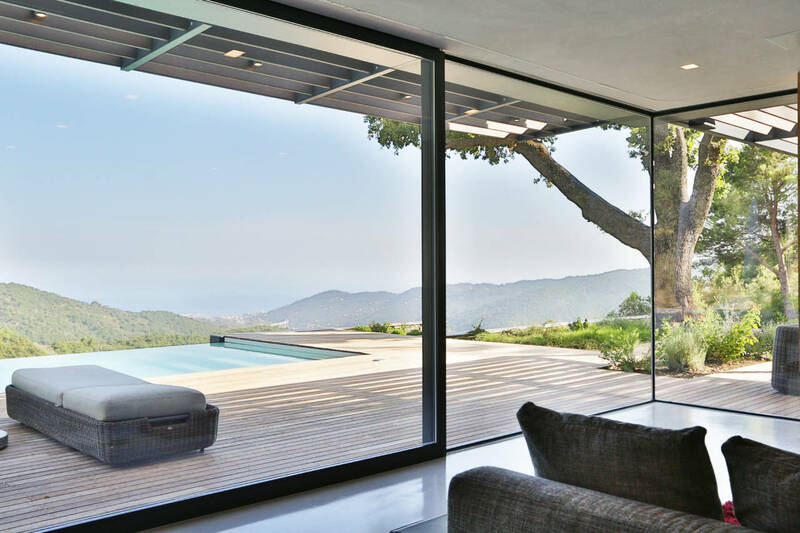 Villa Nemes, a single-family home perched atop the hills of Imperia, uses the power of materials to express a desire for continuity between the outdoor space opening up before it and the layout of the interior. A dialectic relationship made up of deep perspectives, wide open spaces and terraces, of more or less explicit correspondences between the identity of the place and the intrinsic significance of the project. The home, measuring about 210 square metres, follows the lay of the land. Architects Daniele Giordano and his wife Nadine Hadamik, founders of GHA, designed an organism that blends into its natural surroundings with a roof garden, intended to lessen the building’s environmental footprint, which dialogues with the anthropised landscape of the terraced hillsides of Liguria. Two semi-underground volumes on a single level, one of which is built on a slight incline, bend to adapt to the shape of the land and break up in the middle to provide access to the home. 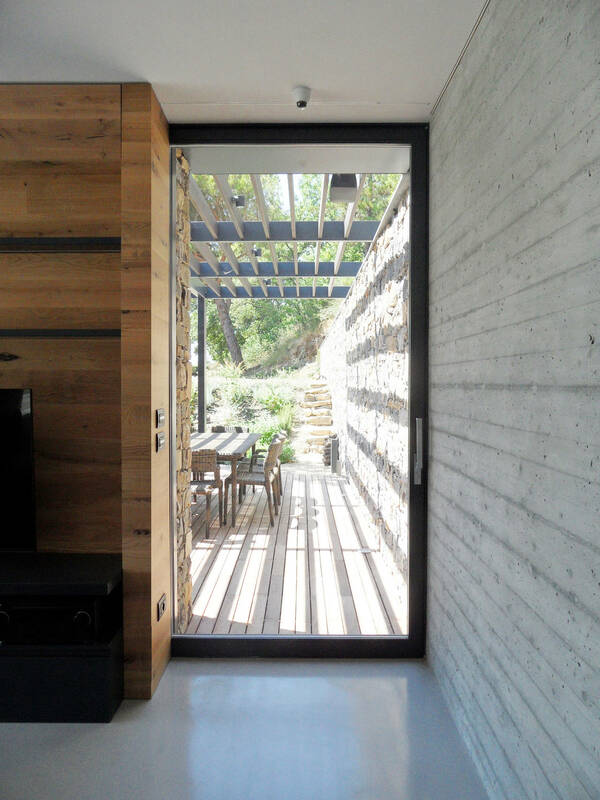 This entrance, the centre of gravity of the project, perpendicular to the lot, provides the design expedient for distribution of functions in the home. 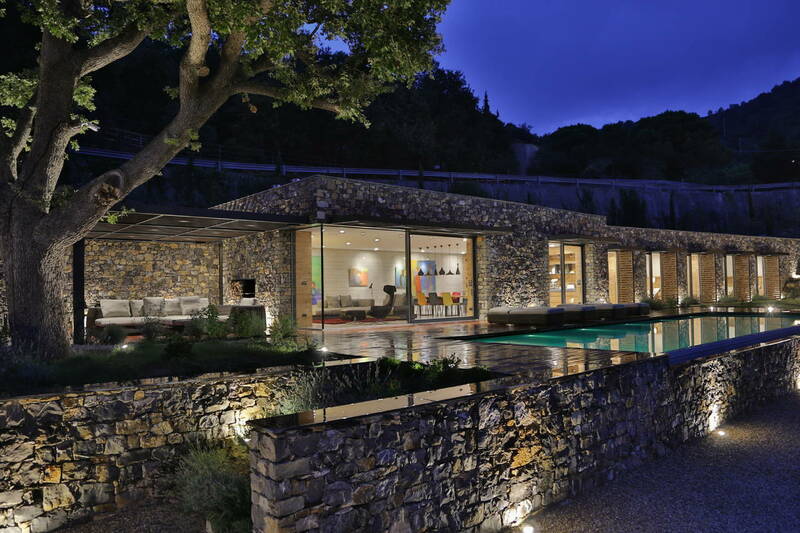 The home, extending out over the Gulf of Imperia, is notable for its natural stone walls with big floor-to-ceiling windows overlooking the valley and the sea. The long walls underline the dialectic relationship between the building, its interiors and the outdoor areas. The patio and sunshades create buffer zones which stay cool even at the hottest time of day. 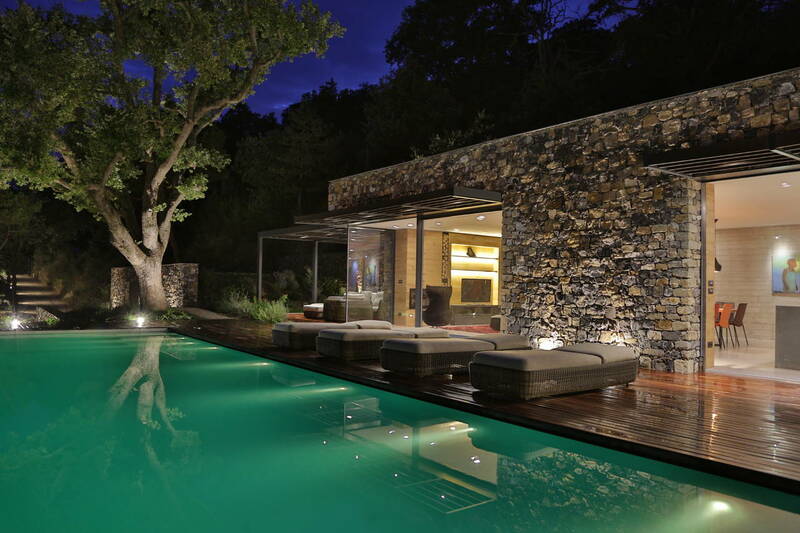 The outdoor spaces around the villa pay homage to the rich variety of Mediterranean vegetation. E sempre all'aperto, i pavimenti in legno o in ghiaia massimizzano la superficie permeabile. 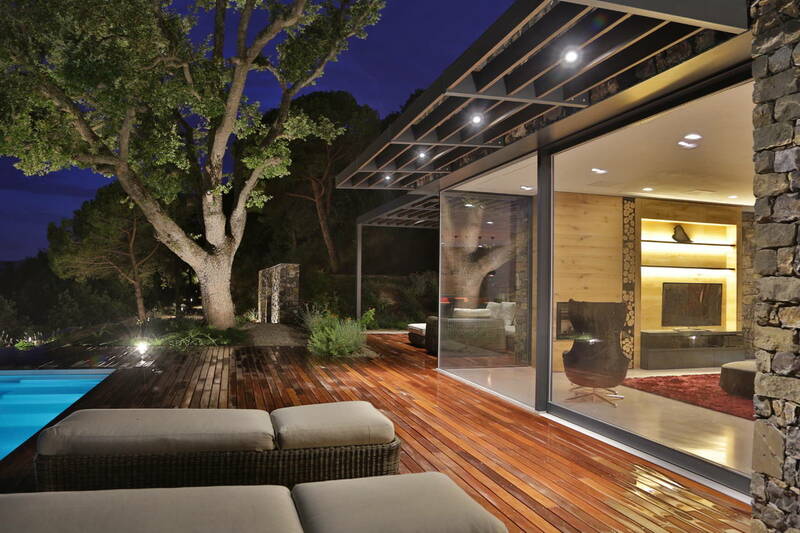 Wooden flooring and gravel maximise the permeable surfaces outdoors. 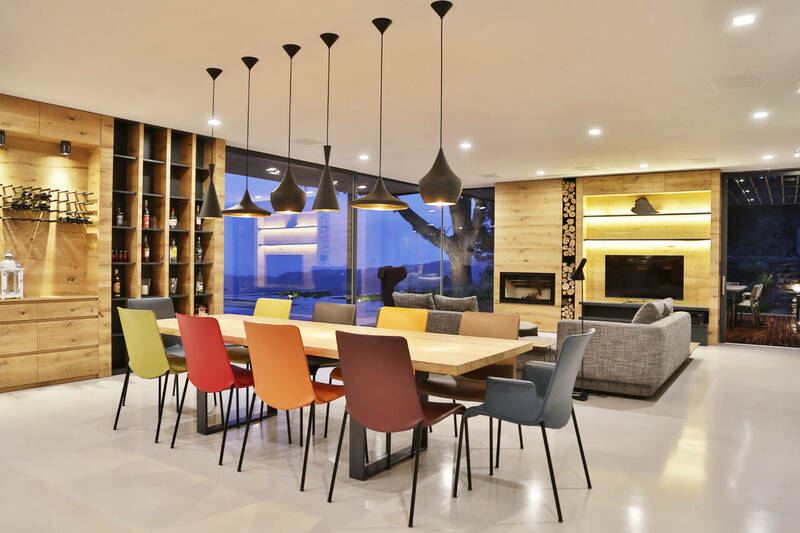 The project is not limited to aesthetic and formal value alone, however; it involved thorough study of the principles of environmental sustainability, the key to the entire project. Starting with the set-up of the construction and the orientation of its layout. Addition of the roof garden increases temperature displacement, while mechanical ventilation optimises air quality in the home and cuts energy consumption. 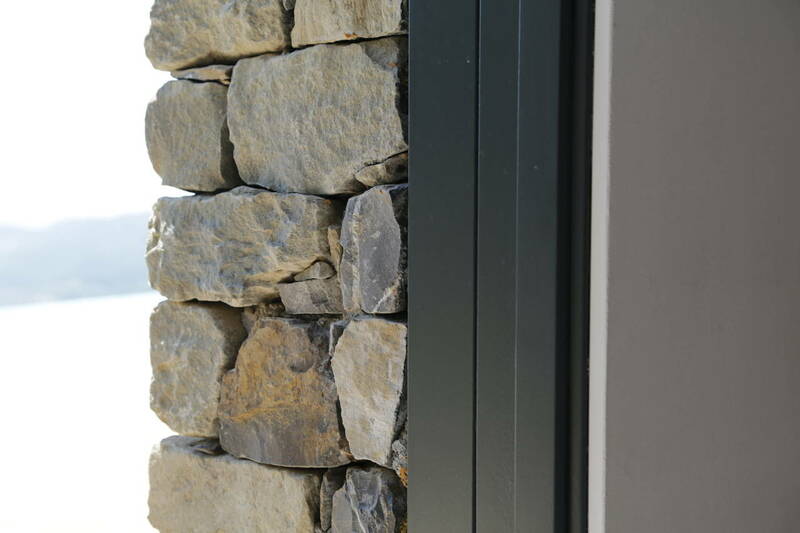 The semi-underground cladding, with its high degree of insulation, and control over passive solar energy, along with the safety and environmental protection technologies employed, ensure a high level of comfort in the home and raise its energy performance to the level required for Passivhaus accreditation. One particularly elegant element used in the project is the type of frame used on the façades. 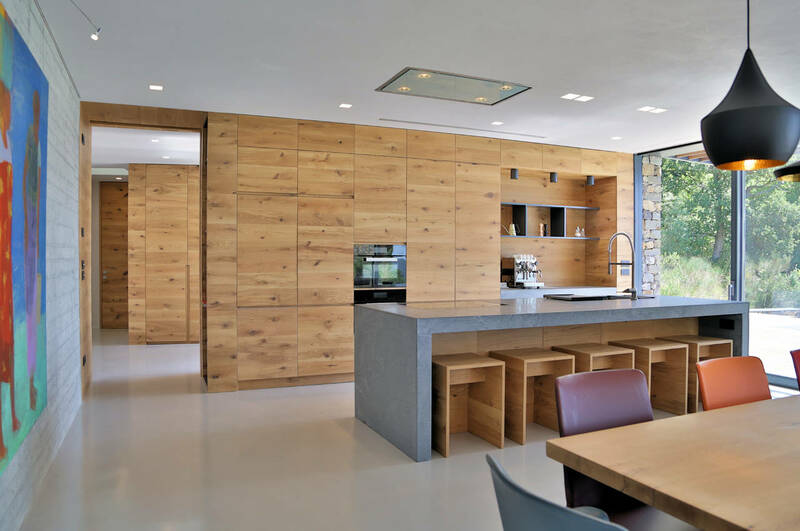 All the window and door frames are set in both on the outside, in the stone and wooden flooring, and inside, in the false ceiling, natural wood divider walls and plasterboard infill cladding. AGB frames were chosen for their outstanding quality; specifically, the revolutionary Imago, designed by architect Matteo Grotto. 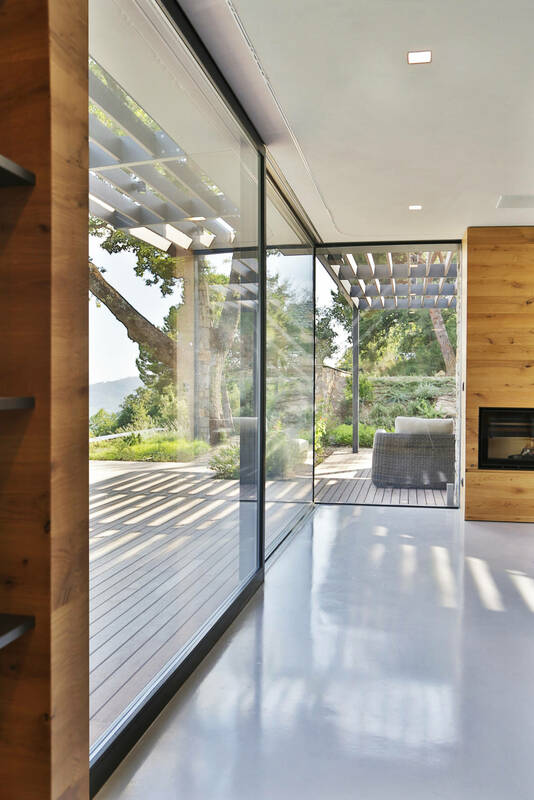 Frames play an important role in the success of Villa Nemes’ attempt to make the most of natural light and amplify the view of the landscape. 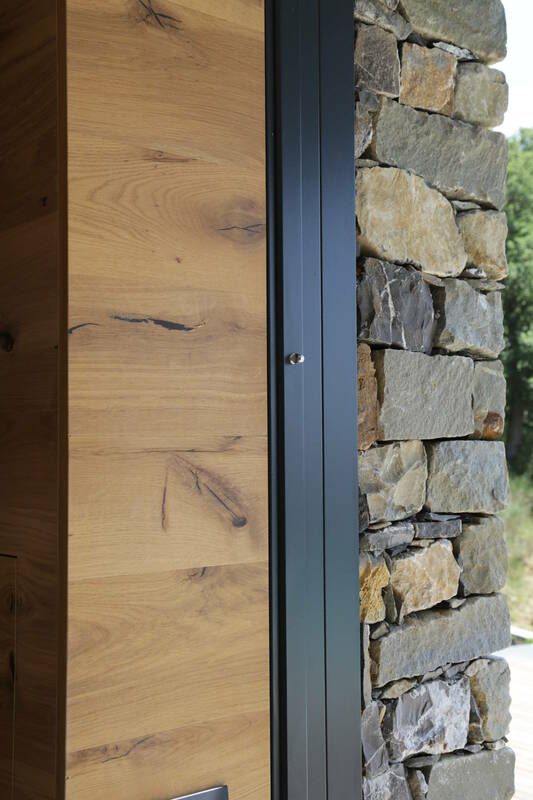 The openings in the façades are designed to add to the home’s material and chromatic continuity, so that it becomes a constant and a key to the building’s style. The configuration and careful positioning of Imago frames have a lot to do with this. 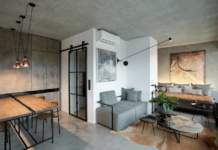 In the living area, a big corner window measuring 6 m curves for another one and a half metre to become one of the key features of the home’s design. 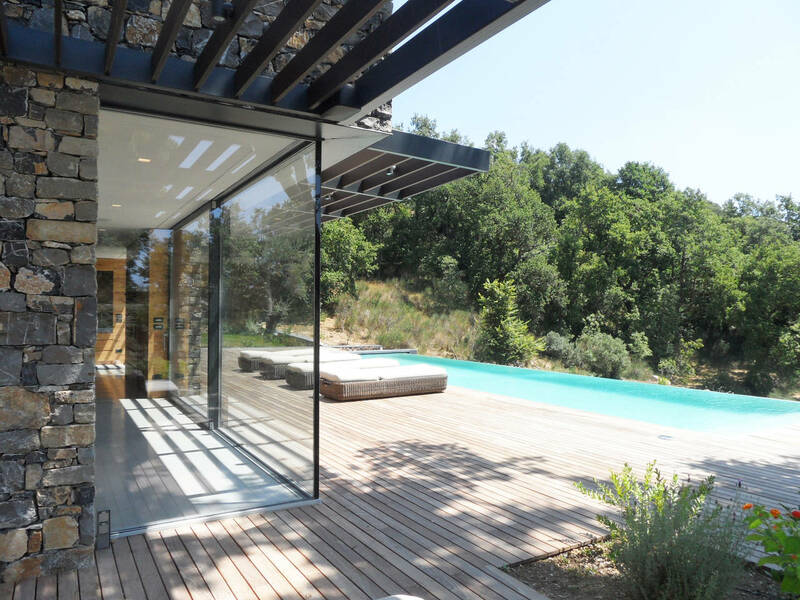 The inset frame adds to the effect of lightness and transparency, framing the view over the pool, the oak tree, and the pergola over the courtyard; and, looking lower down, over the valley and the sea on the horizon. 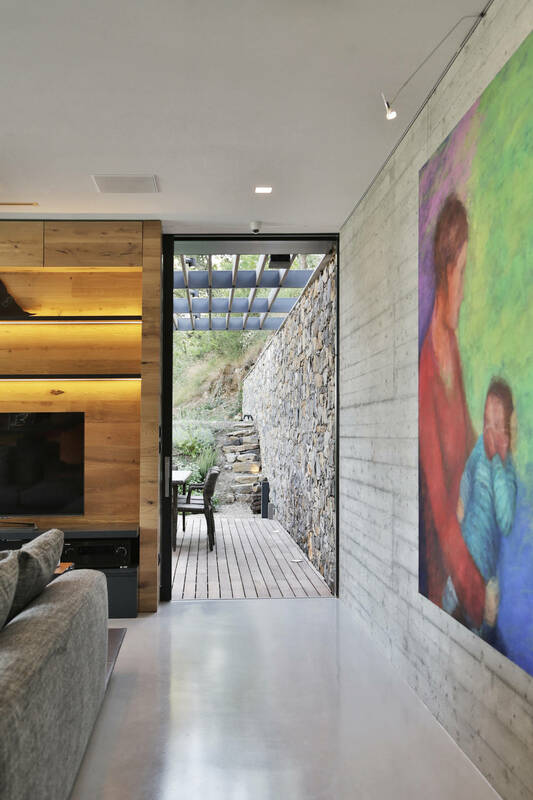 The retractable frame enclosing the bare concrete wall of the living room establishes a sort of affinity between the materials of the inside wall and the stone cladding on the outside, passing through the buffer zone of the patio. "When designing Imago, I didn't want to settle for any compromises", explains Matteo Grotto. "The frame and visible components had to disappear from sight while continuing to offer maximum performance". 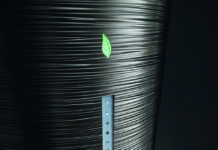 Imago uses the Climatech fiberglass-reinforced threshold, the most advanced in terms of thermal transmittance technology and resistance to the elements.